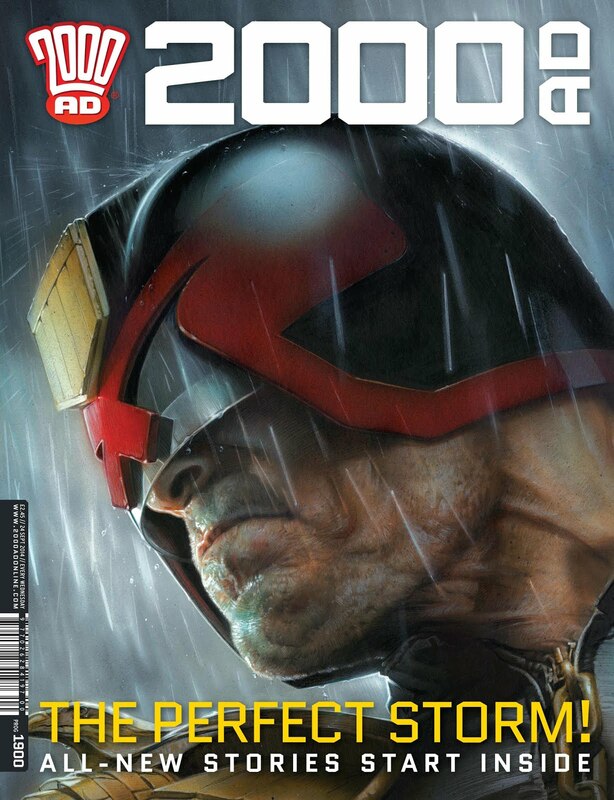 Staples has earned a serious rep as a creator of iconic Dredd artwork. Slick and stylish; costume design made to look easy. 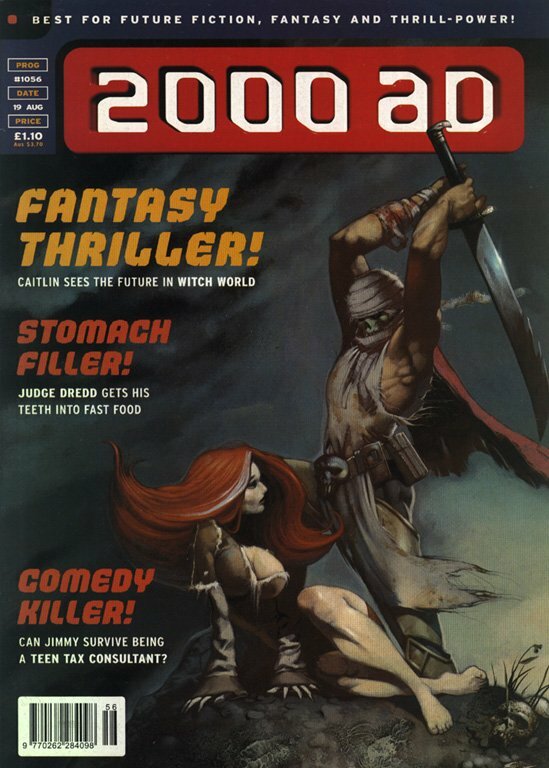 -and I believe he helped to create Witchworld, although he never actually drew any episodes, just this one cover. Did he design the look of Caitlin, maybe? Is she a notable character? Master of a variety of styles, somehow combining paints that tend towards photo-realism alongside extreme cartooniness. Absurdly lush painting. Extremely beautiful people – but also absurdly grotesque people (not usually shown in the same style, mind you). Lavish textures. Drawing himself into his strips. 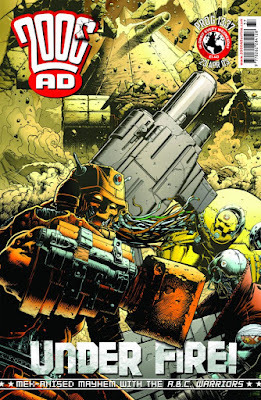 Staples (left) and Ennis (right) cameo as two doomed perps in a Dredd outing. Staples finds himself trapped on a bus full of perps. 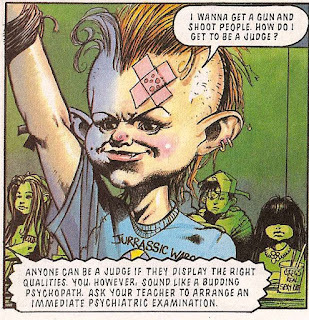 When people complain that the early ‘90s in 2000AD was “full of Simon Bisley clones”, I suspect one of the specific names they mean is young Greg Staples. Heck, in his own Nerve Centre interview, he himself cites Bisley as the man who helped him get his foot in the door with Tharg. 90s hair! Staples started out young, didn't he. But I’ve never really seen it myself. 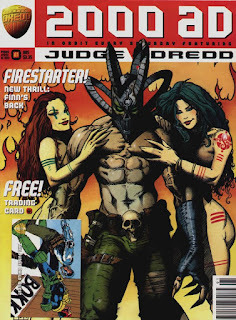 His early stuff was nothing like Bisley, except that, like all 2000AD, it revelled in the funny side of violence. There's something delightful about the super chunky, super garish cartooning in this very early effort. 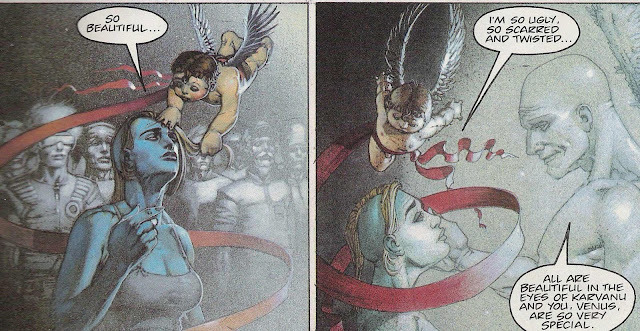 I guess Staples’s first painted work on Slaine was a bit more similar, but only superficially. 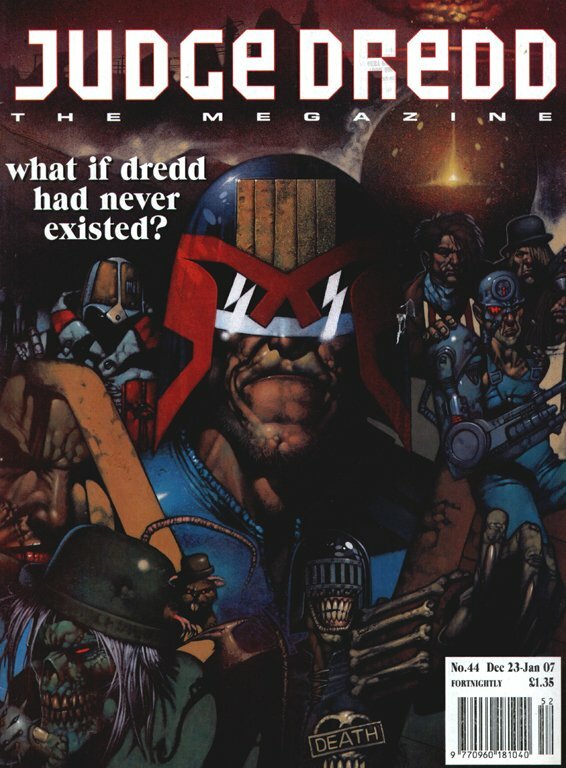 And you have to imagine than on that specific strip, he was probably editorially mandated to draw in a Bisley-esque fashion. 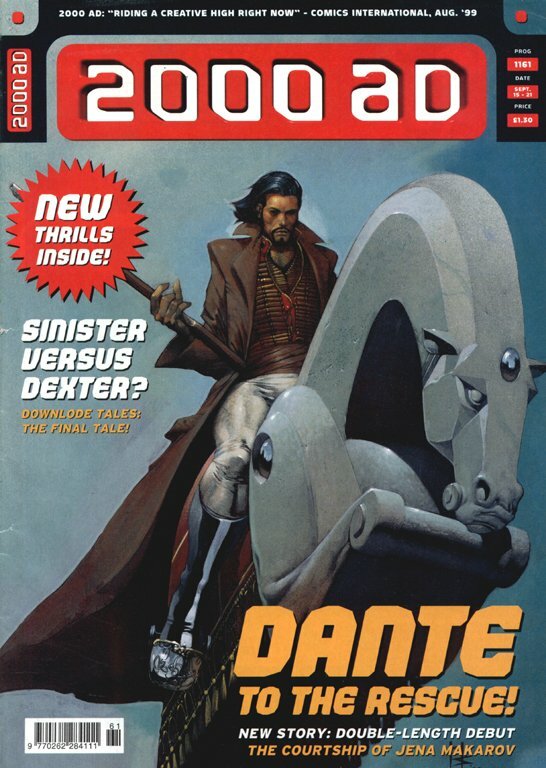 Of course, Staples back then wasn’t yet up to his best standards – he sure has come a long way since. That’s one of the great joys of 2000AD fandom - getting to see new artists (and writers) figuring out their style on the page, and watching them get better. 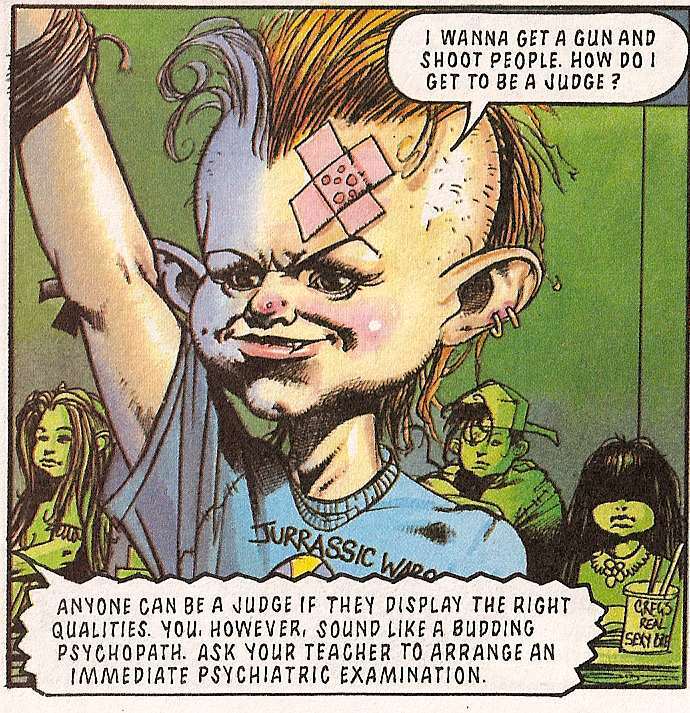 Frankly, by the time Staples took over on The Clown book II, in which he does an extraordinary job mimicking not Bisley, but Robert Bliss (series creator), he’d turned into his own thing. straight up cartoony cartooning in panel 2. Nice lettering, too. And the funny thing is, Staples doing his own thing turns out to mean Staples doing whatever he damn well pleases. The man has turned in a huge variety of art styles over the years, and you never know what to expect from story to story. Showing off his pencil and ink skills. 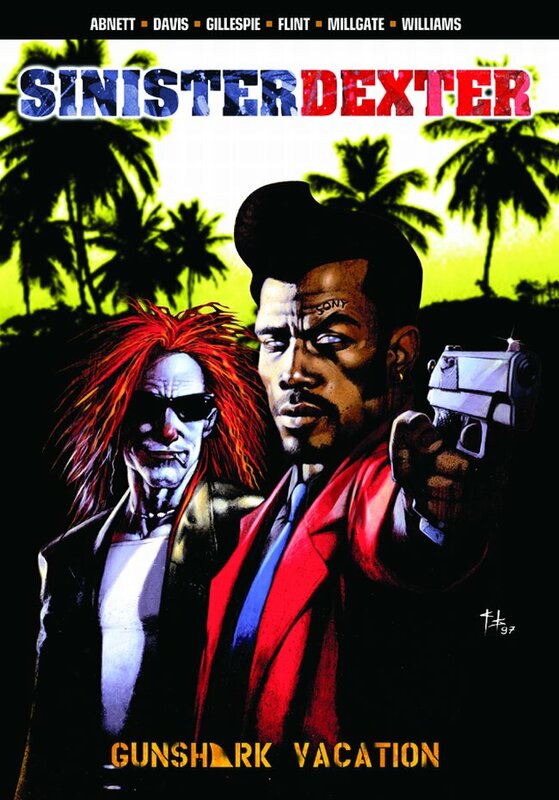 His most recent work, Dark Justice, took him a notoriously long time to produce. The story goes that he wanted to put his all into it, cerate a truly stunning work of art. And it is quite something to behold! It also suggests that this hyper-real lush painting is what Staples himself sees as his ‘best’ work. Judge Mortis is everyone's favourite sidekick, right? …and Dredd efforts including Mad City, most famous for introducing Oola Bint, a serial killer who, I think, continues to evade Dredd. And also Chris Evans cameoing as Fritz Shakespeare (that's him to the right, getting his head cut off). 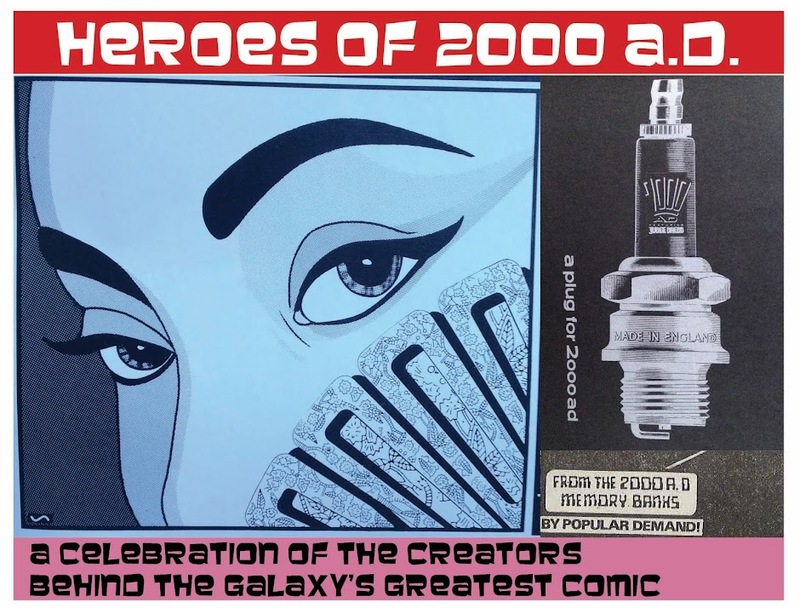 As the character is written, I can’t quite believe John Wagner specified the look – but it works overall, and singles Staples out as the assort of artist who puts that bit of extra thought and effort into his work to make it come alive. 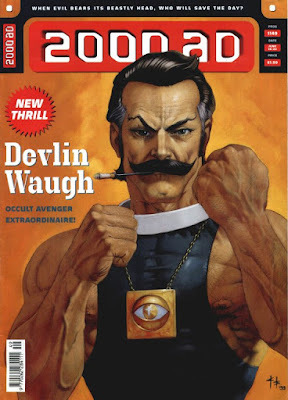 Greg Staples is known and indeed adored internationally as a regular artist on Magic: The Gathering**. A card game based in s fantasy setting, where each card is adorned with more or less amazing artwork showing magical realms, beasts, warlocks and that sort of thing (not a million miles from the aforementioned Witchworld and Slaine, in fact). 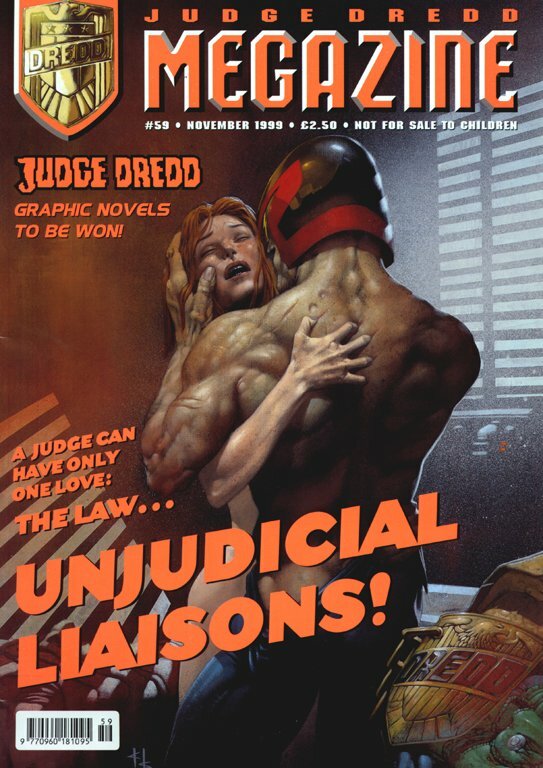 This one is rather Bisleyish, I'll admit. You know who has a back like that? Sylvester Stallone, circa The Specialist. Staples would be amazing on ABC Warriors. It’s mostly through his covers that Staples has maintained a regular presence in the Prog since he got his first break. I guess within the pages he’s forged a place for himself as a Dredd artist, but he’s turned his hand to plenty of other strips, too, and it always seems to fit. 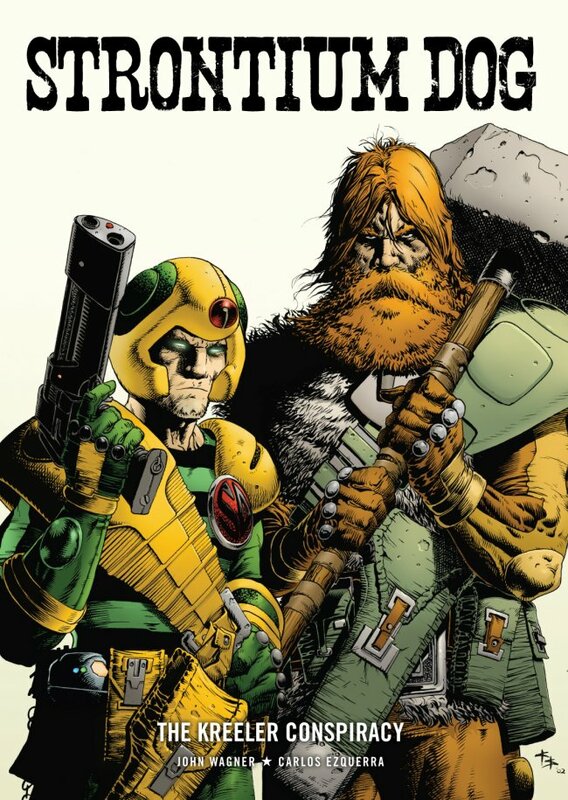 I'd love him to him work on Strontium Dog one day. Obviously not going to happen, but he'd be a fun way to go if Carlos decides to quit. With Greg Staples, you know you’re going to get something gorgeous, with fun poking in from all sides. The DC/Rebllion reprint years weren't great but this one cover suited the glossy look perfectly. *The final series featuring Friday and Venus Bluegenes, wrongly credited to Alex Ronald over on Barney. An incredibly rare error from them! **A game I found myself playing with a few colleagues at work for the first time about a year ago. It’s surprisingly fun, although I get the impression you have be something of an obsessive to have hope of getting good at it. And yes, the art is pretty fantastic, with Staples one of the better contributors.